Why do people care so much they're willing to protest? 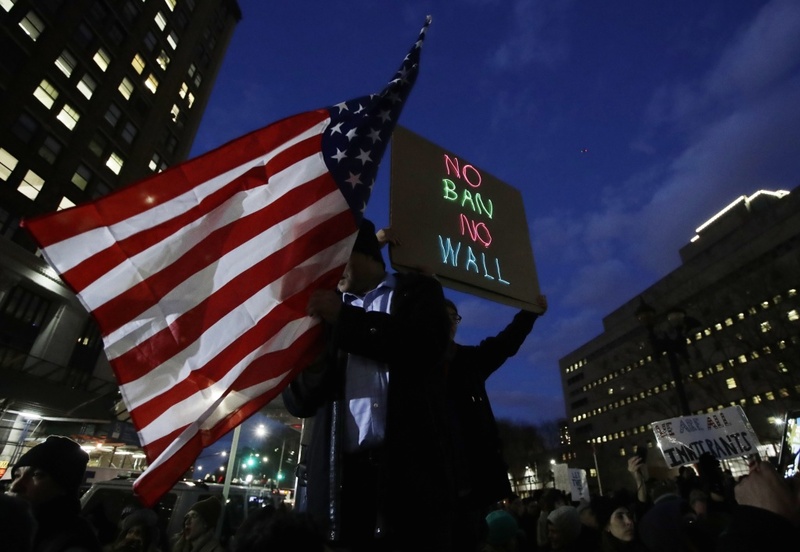 Reaction to President Trump's travel ban has led to outrage from some quarters and questions about the state of American values from others. That led Take Two to wonder: what makes us care about one thing and not another? As it turns out, our concerns are frequently informed by the perception of a threat, even if what seems dangerous isn't really harmful. "The things that tend to capture our attention aren't always the things that are rationally the most dangerous," says David Pizarro, associate professor of psychology at Cornell. "Things that are vivid — like plane crashes — really freak us out. They stick with our memory; they're salient to us." Pizarro says that's the reason we're more likely to be afraid of being in a plane crash than, say, a car crash. Even though car crashes are statistically more likely to occur, plane crashes are more likely to make the news. "We're not good at being sensitive to numbers," Pizarro says. "What we're good at is being sensitive to loud, crashy, dangerous things that are immediately in front of us." The ability to respond to perceived threats may have helped early man to avoid danger. Today, in the age of social media, it may be playing a part in engagement. People are constantly bombarded with images that inspire them to donate, to protest, or otherwise get involved, Pizarro says, adding that some organizations capitalize on this inherent trait, pushing out content aimed at getting a reaction. But how can two people consume the same media but walk away with different perspectives? "When we're presented with information that is inconsistent with what we believe, we ask ourselves the question, must I believe this? We counter-argue," Pizarro says. "But when it's something that already agrees with your position, we ask ourselves a different question: can I believe this?" In essence, Pizarro says, humans are defined by their passions. Click the "Bonus Audio" link to hear the interview in its entirety. What's the agenda for black America under President Trump?